More than that, Scott Ray also understands what you have been going through. He stopped working as an insurance defense lawyer the moment he realized that he was affecting the lives of real people, often barring them from the financial support that they both needed and legally deserved. Now, after opening his own office and becoming his own boss, he is committed to listening to his clients' stories and getting people the money that they are owed under the law. No one expects to be seriously injured in a traffic collision or animal attack, lose a loved one in a negligence-related accident, or have an insurance company treat them and their claim unfairly. Sadly, such incidents happen far more often than most people realize and, when they do, victims need an attorney who can help them understand—and fight for—their rights. 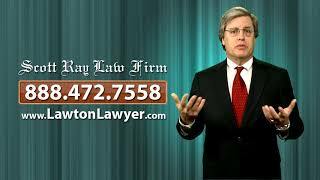 After more than 30 years of experience practicing law in Oklahoma, Attorney Scott Ray knows the legal system inside out and believes there's far more to being a good lawyer than wearing a fancy suit or confusing overwhelmed clients with technical legal-speak. 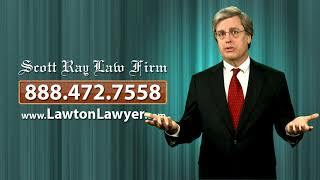 Instead, the Scott Ray Law Firm focuses on taking the burden of a case off their clients' shoulders, helping them navigate the legal system successfully, find the optimal solution for their unique situation, and ultimately get the compensation they need and deserve. 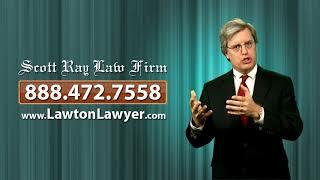 From his law office in Lawton, Scott Ray serves clients throughout the state of Oklahoma as well as those who reside in nearby Texas cities and towns. He is also proud to represent servicemen and servicewomen stationed at Fort Sill and Sheppard Air Force Base. Whether the client is a neighbor or located on the other side of the state, Scott Ray is committed to answering their questions, and providing them with the kind of personal attention and empathetic, yet aggressive, representation that can be hard to find from a big-city law firm. 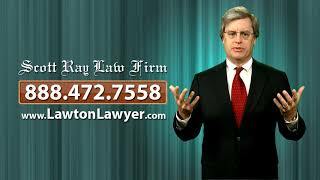 Personal injury. 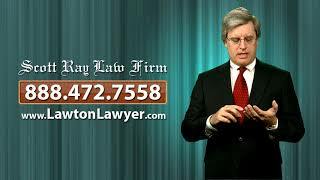 If you were bitten by a dog or injured in a car, truck, pedestrian, drunk driving, or motorcycle accident, Scott Ray can help you seek compensation for your injuries and other damages. Wrongful death. When a loved one is killed in a vehicle crash or premises liability accident, or due to medical malpractice, Scott Ray can help you fight for the compensation you and your family deserve. Insurance bad faith. An insurance company's allegiance is to its bottom line—not your well-being. If an insurance company makes unfair, low-ball settlement offers, delays your payments, or denies your claim outright, Scott Ray can provide the experienced representation you need. Scott Ray has helped numerous personal injury, wrongful death, and insurance bad faith clients successfully resolve their cases. 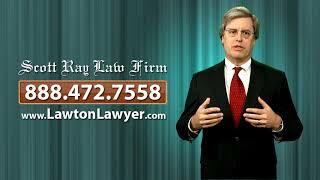 Wondering how our firm can help you? Call us today at (580) 248-5557 to schedule an appointment for a free, no-obligation initial consultation to discuss the details of your case. As you know, there's a lot riding on the outcome of your case, which is why it's so important to choose an attorney who's not only experienced and knows the legal system but also understands the opposition. 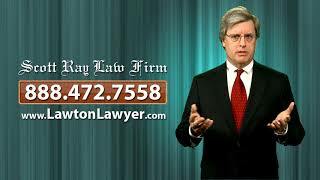 Scott Ray worked as an insurance company defense lawyer for 17 years before becoming a personal injury and bad faith attorney and even helped write many of the policy provisions he challenges today. After seeing the effects that unfair insurance company tactics have on real people and their families—such as preventing them from collecting the financial support they need and are legally owed—Scott Ray changed direction, opened his own law firm, and now uses his intimate knowledge of insurance company practices to help personal injury, wrongful death, and insurance bad faith victims just like you. 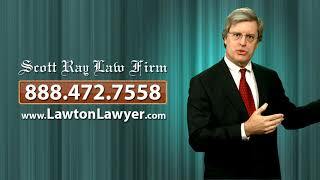 At the Scott Ray Law Firm, you're more than just a case number. We work hard to provide you with the aggressive “big-city” representation you need with the small-town touch and personal attention you deserve. 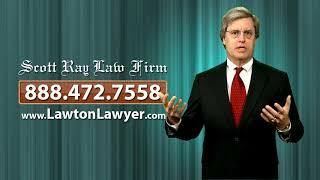 Hurt in in an Oklahoma Car Wreck? Protect Yourself with our FREE book! 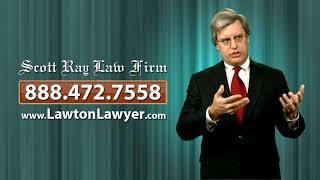 Hurt in a car or truck wreck in Oklahoma? Scott Ray wrote this FREE book just for you! 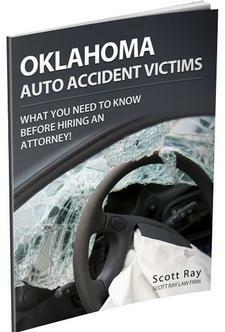 Protect your rights after an accident - order your copy today!